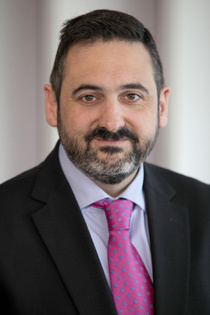 The new boss of British Airways says he has no plans to “Ryanair-ise” the airline, but that a focus on costs is inevitable given the competitive environment for both short-haul and long-haul. “Am I going to “Ryanair-ise” or “Low-cost-ise” BA? The answer to that is clear – No. What is expected from me is to bring in a way of thinking so that [British Airways] can survive in a competitive environment. These are the ways of working that a company such as Vuelling has had to adapt to survive”. Mr Cruz also pointed out that he “wasn’t a stranger to BA”. The occasion was a roundtable with representatives of the British media. He addressed the unconfirmed reports about his intention of removing free catering on board European short-haul. He also announced increased new flexibility in booking with BA Holidays and the new Santiago route. Questions were asked by a number of journalists on a number of topics. This is an edit of what he said with specific questions inserted to explain the sudden change in topic. 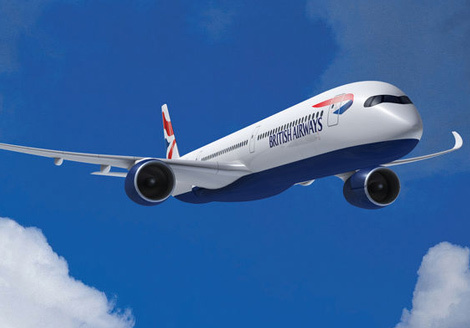 “My emphasis is not on making BA a low-cost carrier and I think that would be a mistake. It is on making it a significantly more competitive company in the way it works, both within, and towards the way it works outside to clients and customers. If you ask the BA staff around the office they will not say I am looking to change all the products. They instead will say “Alex doesn’t like long PowerPoints, long meetings or long emails”. I am keen on using the unbelievable attributes the company has in the right way. As we look at our challenges we are still formulating a tangible vision, but we need to spend time with people internally to do that. “The emphasis in recent days has been on things that are punitive [the buy-on-board reports], but we will not look at what others are doing from a product point of view in terms of low-cost. We are also looking at how we can make our premium product more premium and we plan to introduce technology that has not been introduced anywhere in the airline industry. So I do not want to “low-cost-ise” BA, but I do want to make it a more competitive airline overall, looking at every single part of the experience. In that journey, surely we will analyse if the practices of some of our competitors are valid for BA or not. So all the chat with regards to charging for food. Is that something that we should be doing? Is that something that makes sense? What are our customers saying? So we are looking and listening about the sort of catering they want on a plane from an airline like us. We haven’t concluded yet what we are going to do. But I can tell you something, and I’m intent on this for everything single thing we do. This will be my outrageous over promise. if we do decide to move to a buy-on-board set-up for European short-haul flights, it will be by far the best proposition of any airline that does it. And best proposition means many things. It could mean what is on offer, it could mean the prices, it could mean the way you pay, it could mean how you manage the expectations of economy passengers who have paid the higher economy fares. We are not ready to talk about it because we haven’t made a decision, despite what you might have read. I haven’t been misrepresented in those reports. Most of the papers have said in their second or third paragraph “It has yet to be approved”. Is it a relevant topic being discussed? Yes, along with another million things, some of them with no visibility to the customer and some which have. But if we do make that decision, it will be “flashy” because it will be something that none of the existing carriers that are doing this modality of catering are doing. I’m not interested in this [buy-on-board] as a standalone feature. I’m interested in how we are going to compete with Norwegian and Ryanair and Easyjet and all those we compete with day in and day out, and there is a formula that has been extremely clear to me over the last ten years. We have a tremendous amount of evidence that the number one overwhelming, largest criteria for selecting an airline for a short-haul experience, say two hours or less, is price, so one of the components that is absolutely clear to us is that in order to be able to compete effectively on short-haul, we need to be able to compete effectively on price. Will we see £9.99 fares from BA? I’m not sure. I don’t think so, but the pressure on short-haul comes mostly on price. Incidentally, from the surveys we do, we know that less than one per cent of passengers would choose their short-haul carrier based on food. I asked for that statistic after all the headlines we’ve seen this week about the buy-on-board possibility. The food will be great, and the quality of the food. I have flown low-cost carriers four times a week every week for the last ten years, so I’ve seen the evolution of the product (food) on board. It has changed. You can’t compete with Ryanair or Easyjet on price, surely? “It’s very unlikely that we will reach Ryanair’s cost structure. But BA’s short-haul operations at Gatwick could reach Easyjet’s cost structure and it might approach it soon and I’m bringing more vigour into that process. We absolutely can compete on price. Can we do it on every route at every time by having half the of the plane on offer for £19? No, but we can use pricing as a lever and we can do it more often if we have cost control. I have not been hired to come here and dedicate 150 per cent of my time to do cost reduction. I’ve been hired to make BA more competitive. Some of it will be cost reduction, some will be how we trade, some by investment. A combination of multiple things. Will BA consider flying long-haul from Manchester? 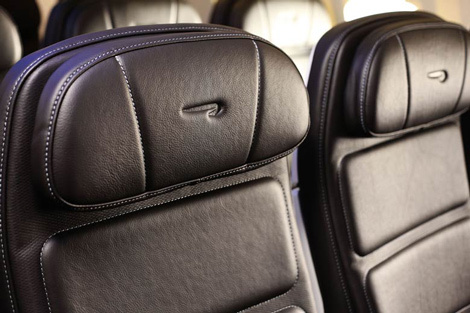 Will the new business class on the A350 be retrofitted to the rest of the long-haul fleet? “At the moment the new business class for the A350 doesn’t appear to be ultra-revolutionary – sufficiently revolutionary to retrofit the rest of the long-haul fleet. What I think has some merit, is to look at some of the attributes and small extras around the seat and the seat experience that we could more easily translate to the premium cabin. Business Traveller also published a separate article on the subject of BA’s A350 Club World seating earlier this week. On competition from the Gulf carriers (and Turkish Airlines). “There’s a “hidden” Gulf Carrier which is Turkish, which is not a Gulf carrier but is an unbelievable powerhouse, which has one feature which we never talk about but it’s incredible – and it’s they can reach all of Europe and a great deal of Africa with single aisle carriers B737s, which means the economies of scale and cost of operating those aircraft is incredible. 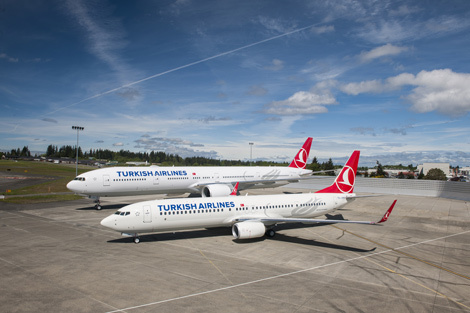 Turkish is a formidable carrier, and then there’s the big three of Qatar, Emirates and Etihad. I’m not really sure that there’s a way of competing with them that is very different from the others. Yes, there’s a price component, but I think the emphasis is more around the product. Today we have three flights to Dubai, it’s a good route, we’re picking up a lot of traffic from Europe and from the US going to Dubai. You will have seen we are going to start flying to Doha directly. We believe there’s a good opportunity to continue engaging with Qatar [Airways] in this respect. The actual direct destinations, I think we are managing the well with capacity but if we feel we have too much we will move it around. The effect of the Gulf carriers in Asia to US traffic, probably doesn’t affect us too much, and the effect of Gulf carriers from the US to here (UK) doesn’t affect us too much. So regardless of if they affect us or not, we recognise that they are very competitive, that they are going to continue growing, that their product offering is very good, and all of those things put together will continue to motivate us to become a better airline. So, in terms as setting the tone internally, I am setting the tone that these carriers are very much providing a fantastic service and we have to be working towards that. We have to be able to come up with propositions that go beyond the brand safety of BA and actually come up with delivering even greater service. We have great staff, but we have to think of the rest of the passenger experience. [At my last airline] I started a culture from scratch and we got up to 100 airplanes and I was very proud of the culture. When I came into BA I found that the degree of attachment of staff to BA the brand, BA the value, and BA the hallmark, is a specific mechanism we have internally to drive customer service within the company. It’s huge, and it’s humbling for me. What that means is I have a lot of responsibility to make it work. It’s working, but to do an even better job. You can fly any of these other carriers and find the crew are absolutely not as experienced as BA crew. They can’t be, because they haven’t been flying for as long as BA crew. If you’ve flown for ten or 15 years you’ve come across a lot of experiences, and to have BA staff know how to deal with those situations, a lot of people pay for that. “I know I’m going to get comfort and if there’s a situation they can handle it”. People attributes like this make BA very competitive airline, but we can work on making it even more competitive”.